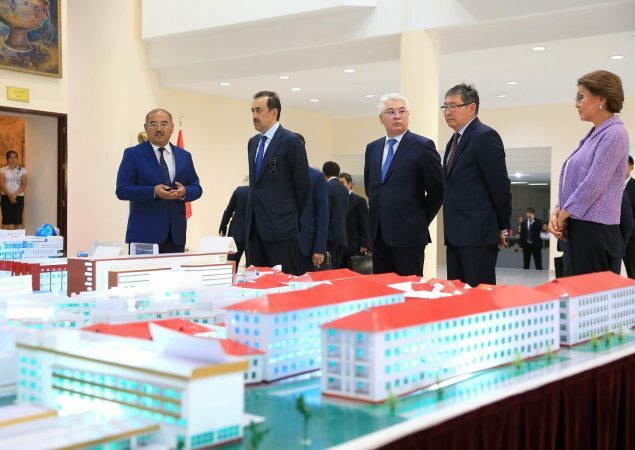 «Akhmet Yassawi International Kazakh-Turkish University turns Turkestan into the educational center of Turkic world». 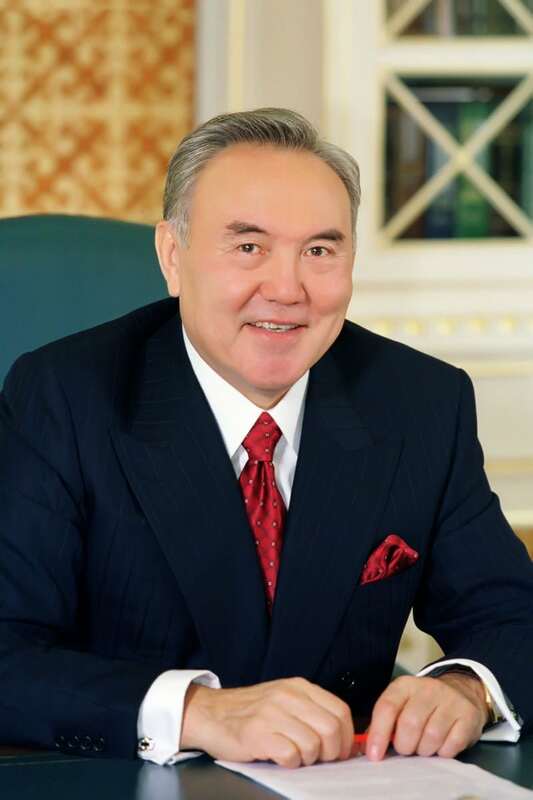 Nursultan Abishuly Nazarbaev, the President of the Republic of Kazakhstan. 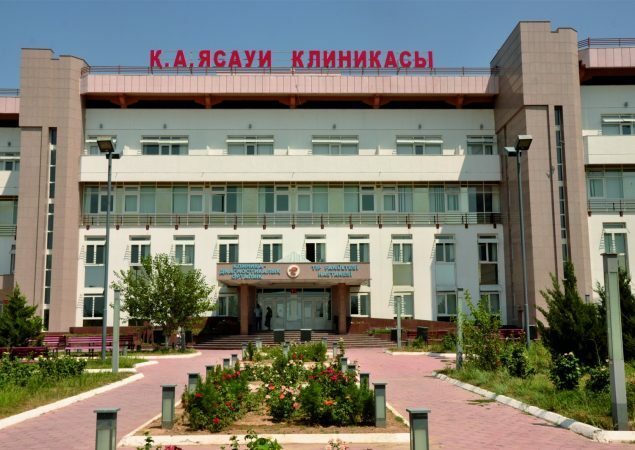 Akhmet Yassawi International Kazakh-Turkish University was established on June 6, 1991. The President of the Republic of Kazakhstan, N.A. 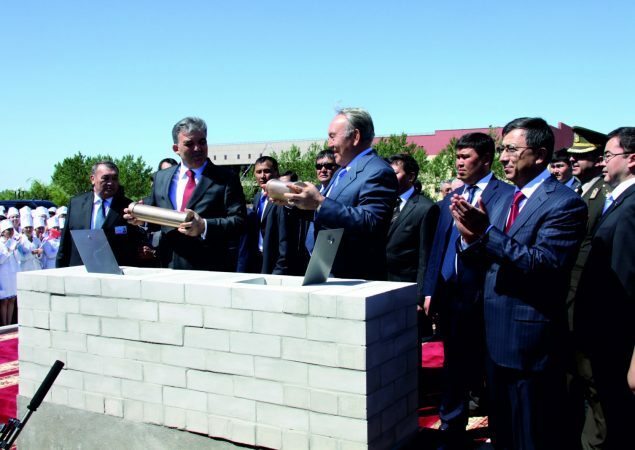 Nazarbayev, opened this university for the development and prosperity of our spiritual capital, the city of Turkestan. 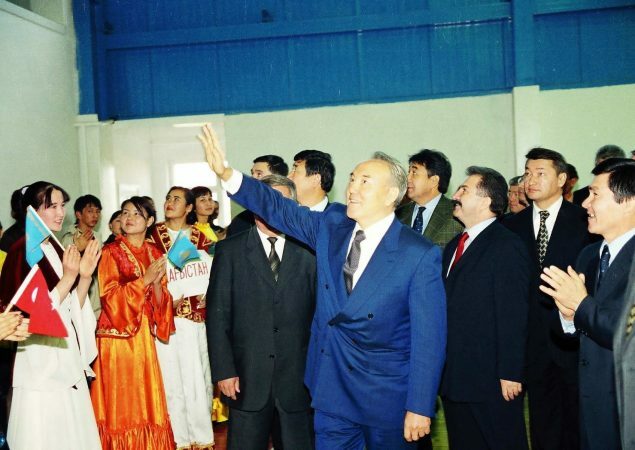 On May 1, 1992, as a result of an agreement between the President of the Republic of Kazakhstan, N.A. 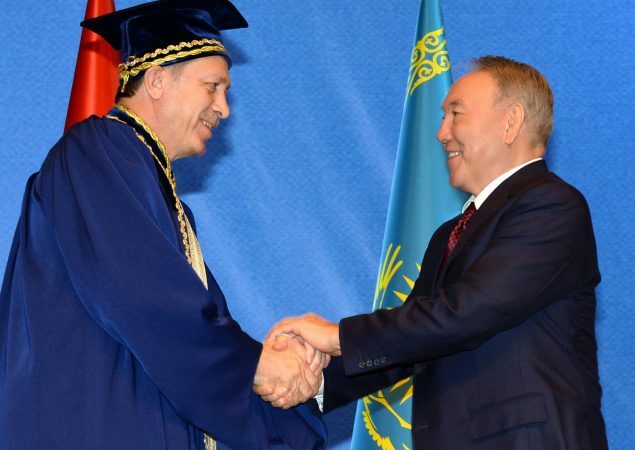 Nazarbayev and the Prime Minister of the Republic of Turkey, Suleyman Demirel, the university was awarded the status of an “International University”. 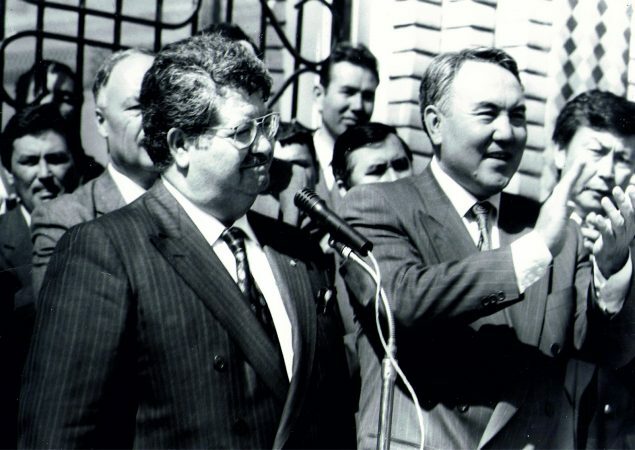 On October 31, 1992, the Governments of the Republic of Kazakhstan and the Republic of Turkey signed the Agreement on the reorganization of the university into Khoja Akhmet Yassawi International Kazakh-Turkish University. 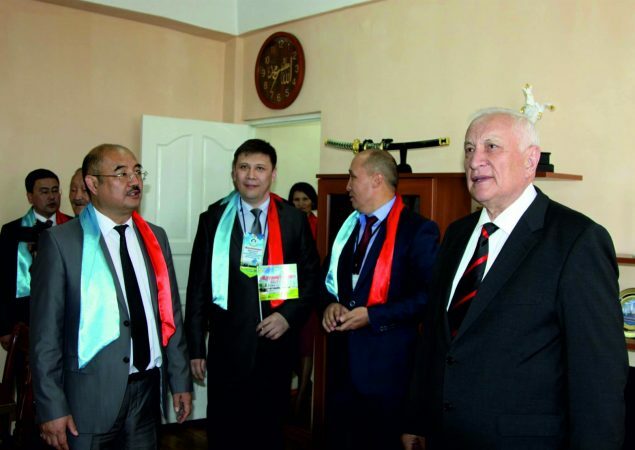 Thus, an international higher education institution was first opened in Kazakhstan. 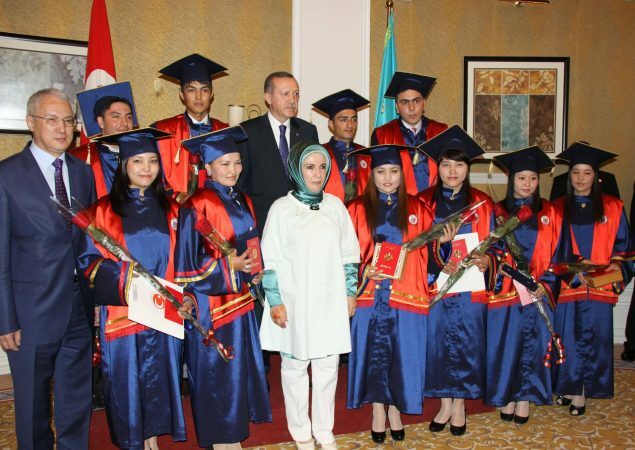 The university is the only university among the Turkic-speaking countries, having international status. At the moment, students study in the Kazakh, Turkish, Russian and English languages, among them about 30 nationalities from 17 countries and 15 autonomous republics of Eurasia. Young people, living in peace and harmony under one roof, receive higher education in 54 specialties of bachelor’s degree, 30 specialties of magistracy and 11 specialties of doctoral studies. The University provides distance learning technology for 22 educational programs. In the educational center for distance learning with a center in Ankara, Turkey, about 4,000 students receive education in 11 specialties within the framework of the TurTEP program. 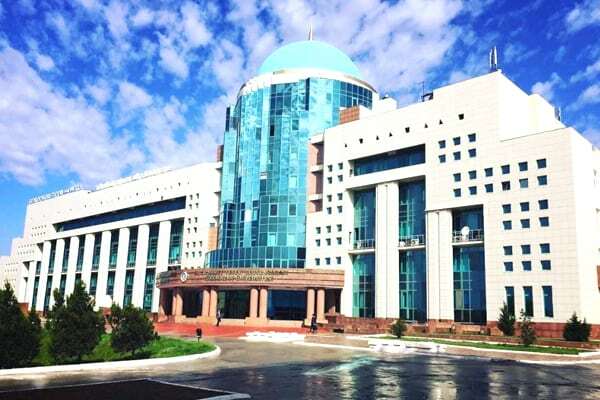 The structure of the International Kazakh-Turkish University named after Khoja Akhmet Yassawi has 4 research centers, the Eurasian Scientific Research Institute, 7 research laboratories and 70 research groups. 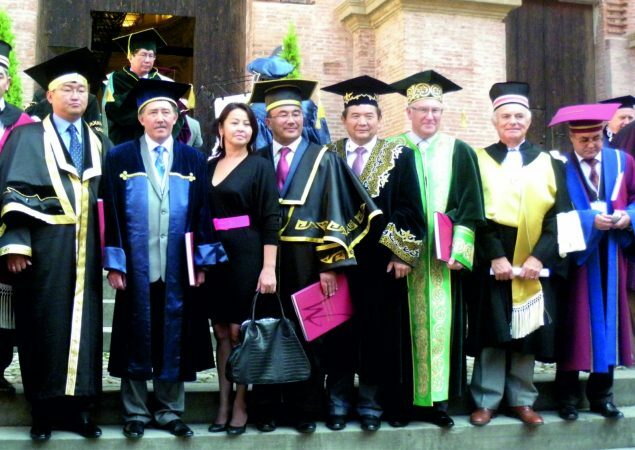 The mission of the university is to teach students from Turkic-speaking countries on the basis of democratic principles of society, to give them knowledge that meets modern requirements; to cultivate in them fidelity to universal and national spiritual values, to instill the skills of free and independent thinking and the ability to use the results of scientific research in practice; develop a sense of responsibility to society and the individual; to form respect for human rights, the desire for friendship and cohesion. The knowledge system of University bachelors 54, Masters 30, PhD doctors 11, Residency 3, Internship7, by the specialties of social sciences, economic sciences, law, humanities, medicine, technical science, pedagogy, business, service and art. 1993- the staff of the university met with D.A.Konaev. 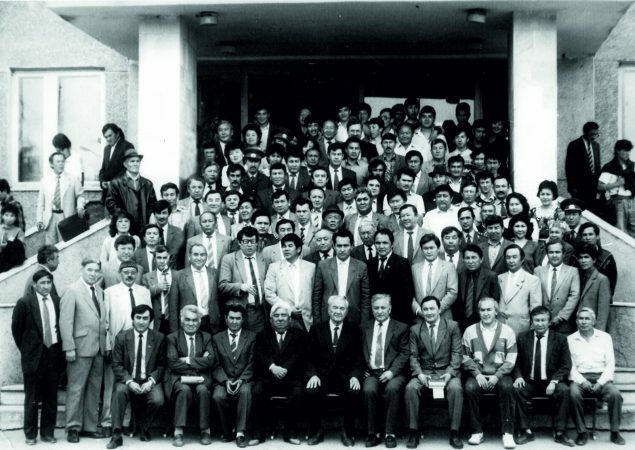 1993- The President of RK Nursultan Nazarbaev and the President of Turkey Turgut Ozal held a meeting with the staff of the university. 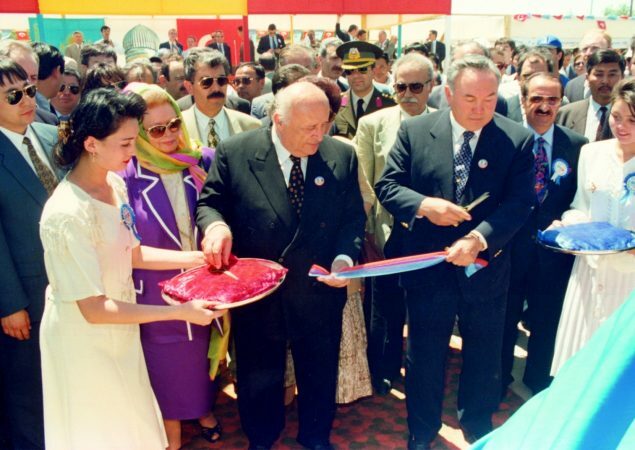 1994-The President of Turkey Suleymen Demirel formaly laid the base of Akhmet Yassawi Kazakh-Turkish university during his official visit. 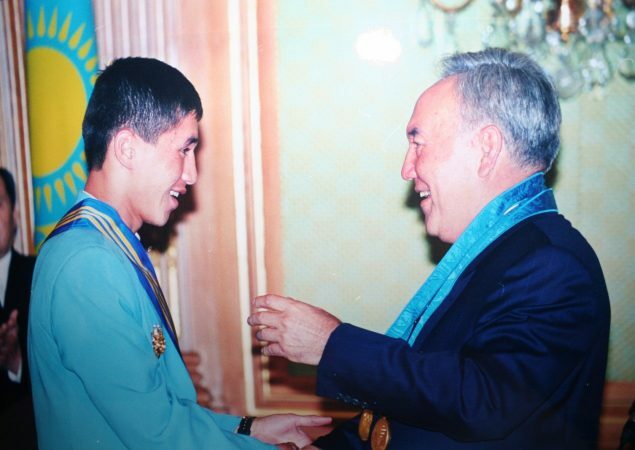 2000- The congratulating ceremony of the President of RK N.A.Nazarbaev the Champion of Sidney Olympic games Bekzat Sattarkhanov. 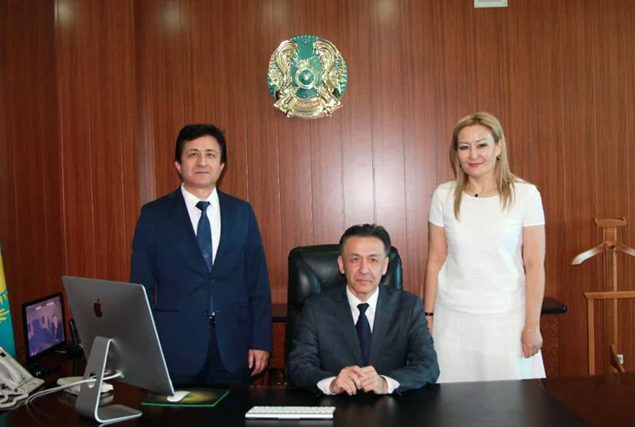 2016 -The Prime-minister K.Masimov and the Vice Prime-minister Dariga Nazarbaeva’s visit to the university. The problems in the sphere of educational were discussed at the meeting.